Appearances & Press Clippings for The Naked Bite and Chef Amber Antonelli. 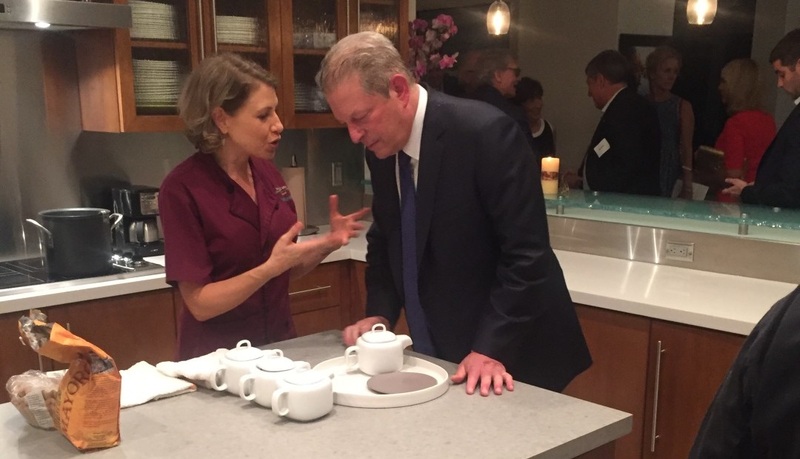 On September 27th, 2015 The Naked Bite catered a meal for former Vice President Al Gore and The Climate Reality Project. This event was a fundraiser devoted to solving our climate crisis and was entirely plant-based. The evening began with passed hors d’oeuvres and was followed by a three course meal and compelling speech given my Mr. Gore. The Naked Bite was inducted into Slow Food Miami’s Snail of Approval honorees in 2013. The Snail of Approval is given for contribution to the quality, authenticity and sustainability of the food supply of Miami. Antonelli, of The Naked Bite, also participated in the brunch last year. Since then, the culinary instructor and private chef has been named a healthy local game-changer by Edible South Florida magazine. 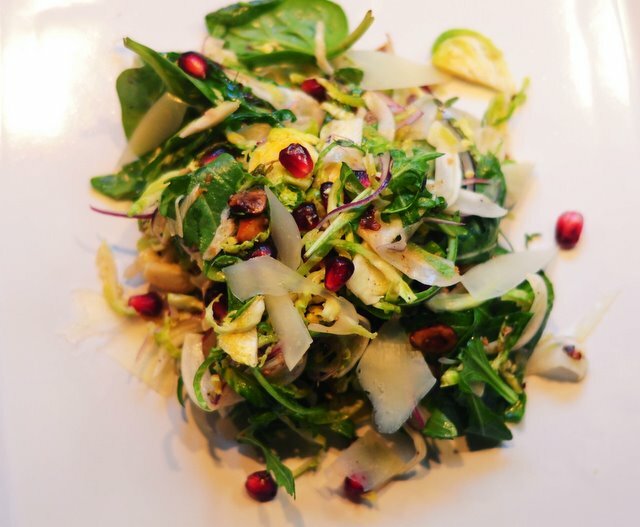 Like Zeitouni and LoSasso, she’s an omnivore but with a veg-forward attitude. 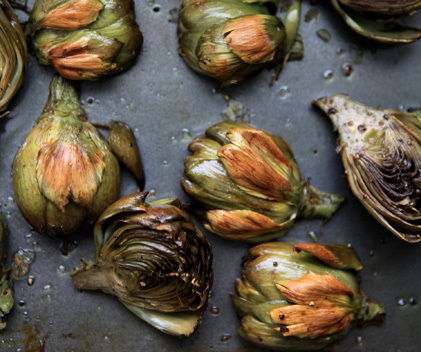 “Our mission through the Naked Bite is to make veggies the best thing on your plate, and that’s exactly what Seed stands for,” Antonelli said. CHEFIPEDIA: A GUIDE TO THE TOP PRIVATE CHEFS IN THE U.S.
Best Private Chefs 2015 in New York City, Los Angeles, and more. Miami – The Naked Bite: Private cooking classes, kitchen organizing and tailored catered dishes are on the menu for chef Amber Antonelli. Bouquets of long-stemmed roses and gift boxes by Swiss chocolatiers are cherished on any occasion, but a private cooking lesson taught by an accomplished chef makes a lasting impression. Amber Antonelli honed her skills in the best California kitchens, served as a concierge chef to the stars and even created her own Haagen-Dazs flavor: Toasted Coconut Sesame Brittle. her catering company/culinary school, The Naked Bite, is designed around making plants the central theme of the meal by using original recipes and accessible techniques. Every session is customizable and can include humanely raised meat while retaining its focus on healthy lifestyle choices and organic ingredients. Popular 4-course menus include Seasonal South Florida, Sunday Brunch or Thai Food Demystified; TheNakedBite.com. Thanksgiving is the one day of the year set aside to give thanks for the many blessings in our lives — and share an overly-indulgent, epic meal. Except for poor vegetarians — most years, they’ve gotta endure a house all smelled up like turkey, and are left to nibble on a few sides: green beans and sweet potatoes. It just doesn’t seem fair. In an effort to satiate everyone’s appetite, we’ve enlisted the help of Chef Amber Antonelli of the Naked Bite. Here, the conscious culinary expert gives us an entrée-worthy recipe that will wow even the meat-and-potato men in the family. Like Johnny Appleseed of California cuisine, West Coast transplant Amber Antonelli is spreading the benefits of the Golden State’s innovative diet to Miami through The Naked Bite. The private chef, who sharpened her culinary skills at top restaurants like John Ash & Company in Santa Rosa, teaches weekly classes out of her own Coconut Grove home. Her meatless recipes (save for an occasional Thai fish dish) are so delicately layered and bursting with freshness that no one ever wonders, where’s the beef? Themes range from kid-friendly healthy meals to entire repasts made with a Vitamix to simple salads and desserts. Capped at 8-10 students, these BYOB workshops followed followed by a sit-down tasting fill up quickly. Amber Antonelli of the popular food blog, The Naked Bite, believes that food is what connects people, cultures and life. Trained as a professional chef, Amber instructs others on how “eating healthy” means eating fresh whole foods cooked from the heart and enjoyed with loved ones. 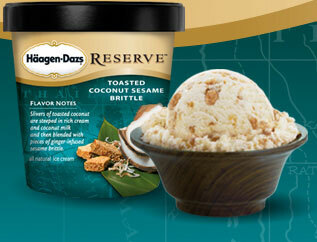 In 2005, Amber Antonelli participated in a competition on Food Network to create the next Häagen-Dazs ice cream flavor. She was one of three finalists. Toasted Coconut Sesame Brittle (or TCSB as some of us refer) was born and sold on the shelves for a few years as a Limited Edition flavor. It was pretty damn tasty. Chef Amber Antonelli of The Naked Bite hosts an upcoming series of vegetable-based cooking classes and pop-up dinners around South Florida. On Monday, she’ll lead guests through chickpea tacos, tempeh with roasted squash, sweet potatoes with kale and other dishes from 6:30 to 9:30 p.m. For reservations and more information, go to thenakedbite.com/. Note: Participants are clothed; BYOB. She has such a friendly way of simplifying the recipes for any cook, at any level. Whether you’re a novice or a pro, I guarantee you will find her easy breezy way in the kitchen super inspiring. 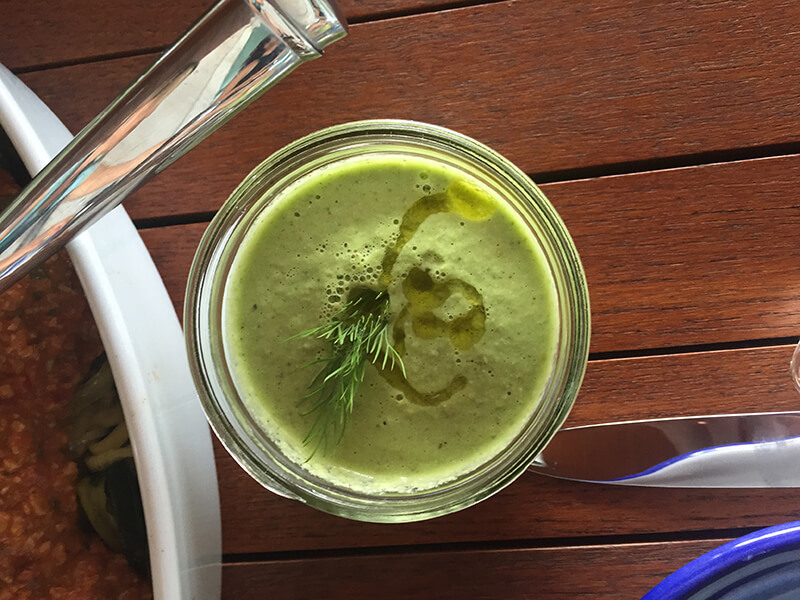 The Naked Bite: Creative, healthy and delectable food. Talented chef Amber Antonelli will delight you whether it be through her informative and fun interactive cooking classes, her catering or her private chef services. Ingredients are all local, organic and sustainable, and dishes can be prepared vegan or gluten-free. Chef Amber had an easy going personality and she has expertise in cooking raw and vegan, super healthy and exactly what I was looking for. It is true what they say- when you eat good, you feel good. 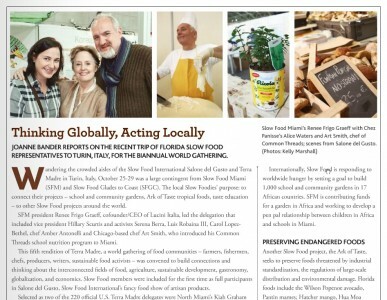 JOANNE BANDER REPORTS ON THE RECENT TRIP OF FLORIDA SLOW FOOD REPRESENTATIVES TO TURIN, ITALY, FOR THE BIANNUAL WORLD GATHERING. Wandering the crowded aisles of the Slow Food International Salone del Gusto and Terra Madre in Turin, Italy, October 25-29 was a large contingent from Slow Food Miami (SFM) and Slow Food Glades to Coast (SFGC). The local Slow Foodies’ purpose: to connect their projects – school and community gardens, Ark of Taste tropical foods, taste education – to other Slow Food projects around the world. SFM president Renee Frigo Graeff, cofounder/CEO of Lucini Italia, led the delegation that included vice president Hillary Scurtis and activists Serena Berra, Luis Robaina III, Carol Lopez- Bethel, chef Amber Antonelli and Chicago-based chef Art Smith, who introduced his Common Threads school nutrition program to Miami. 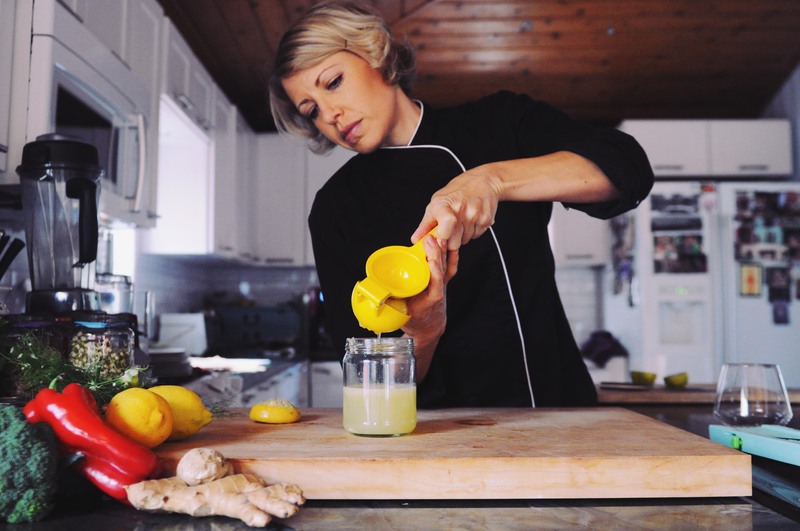 In-demand personal chef and caterer Amber Antonelli of the Naked Bite also has gained a following for her health-minded cooking classes. The northern California native whose first job was with John Ash, the grandfather of farm to table dining, conducts BYOB weekly demonstrations and dinners for a maximum of eight students in her Coconut Grove kitchen. 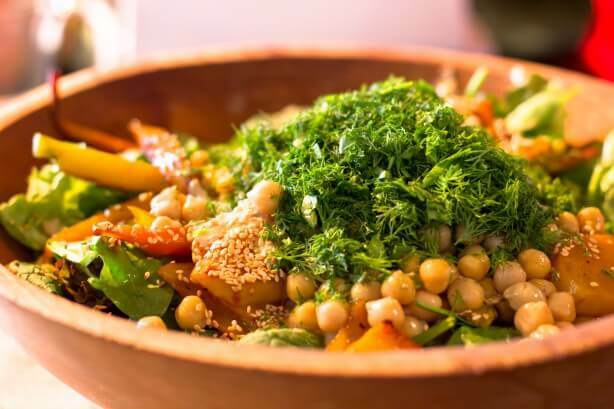 Though she uses meat and fish for several rotating themes such as Thai and appetizers, there’s growing interest in vegan, raw and special diet cuisines; March even features a Vitamix class to explore recipes beyond smoothies. Learn about superfoods, alternative ingredients like coconut oil and how to whip up vibrant, flavorful fare that boosts your body.